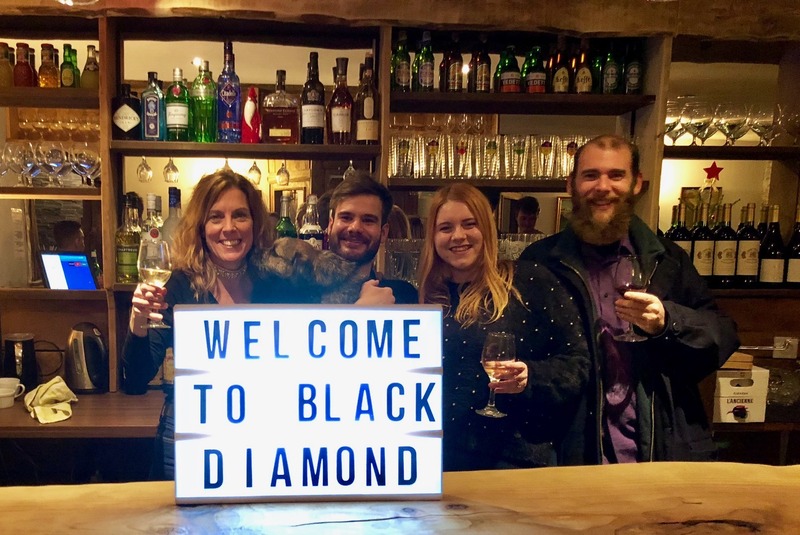 Be part of the fantastic Black Diamond Lodge Team. We are currently accepting applications for 2018/2019 winter season. Read all of our Lodge reviews on Trip Advisor. Black Diamond Lodge offers the opportunity to work for the newest and most exciting bar and restaurant in Sainte Foy Tarentaise, French Alps. We are proud of our success and our amazing team that has helped us achieve it. Our staff really do work hard, play hard and enjoy a successful ski season. We are recruiting our front of house team, professional chefs, Bar Manager and Guest Manager. Guest Manager – to work directly with the owner / Director of Black Diamond Lodge organising accommodation bookings, restaurant bookings and any other guest services required throughout a guest’s stay in Black Diamond. This Manager will handle all written and verbal guest communication including reservation confirmations, deposit and final balance payments and restaurant bookings. The Guest Manager will act as Maitre D in the restaurant each evening (except for nights off) ensuring smooth flow of arrivals / seatings and flow of kitchen orders. The Guest Manager will also check in and check out all accommodation guests ensuring full payment is made for all guest services delivered throughout the guest’s stay. Bar Manager – Work during Winter and Summer seasons with minimal ordering and maintenance work during the off season in May, June, October and November. Bar Management experience is a must. Budgeting, ordering, guest service, live music organisation and guest feedback is the remit for this position. Reporting into and directly working with the General Manager with financial reporting, ordering and stock levels reviewed with the Director on a monthly basis. A real opportunity for someone looking to grow their hospitality experience and make a real name for themselves due to our expected growth over the next 3 years. French speaking is a must. Restaurant Manger – Work with the Director and Head Chef to run the Black Diamond Restaurant including on-line reservations management, front of house rotas and management, menu design and writing, wine list management and overall restaurant layout and guest experience management. Must speak conversational French. Front of House – Work in both the bar or restaurant, serving guests breakfast, dinner, drinks and providing general assistance to resident guests in the Lodge. Hospitality experience not required – full training provided. French speakers preferred. Perfect for gap year students. Housekeeper – Housekeeping including daily cleans and changeovers of nine bedrooms. Weekly upkeep and deep cleaning of central living spaces including lounge and library area. Outside care including watering flowers, topping up hot tubs and balcony and terrace sweeping. Reporting in to the Head of Housekeeping and Maintenance. Our Professional Chefs to work as a team to deliver the best cuisine in Ste Foy. Complete license is given to the team to create the most delicious menu using fresh ingredients from our well-established suppliers. We expect a busy winter ahead with a full restaurant most evenings. We are looking to expand our menu offering to include a more extensive bar food menu in addition to our evening fine dining menu – we are specifically looking for a chef qualified in pastry. We are also looking for a Kitchen Porter – with potential to develop cooking skills throughout the winter season under the guidance of our Head Chef. All team members live in a separate well-appointed Black Diamond staff chalet. This chalet includes shared room accommodation with en suite facilities, a staff kitchen and staff lounge area. All Black Diamond staff dine on staff food before and after their shift. An ability to work hard and as part of a team. We only want team players. If you do not enjoy working with and around others, then please do not apply. Self-starters – we only want applicants who are able to spot issues and resolve them. We want people to use their own initiative. The ability to have fun while working. To be personable and professional in their jobs and to smile even when under pressure. To represent the business and be proud of where they work and an ambassador for the business. The desire to progress their career with a fantastic set of Directors who will look after and develop the Black Diamond team.